I just finished reading Lily by LM DeWalt and published by ireadiwrite Publishing, and let me tell you, this book ended before I was ready to say The End. Lily is a tale about a lonely female vampire living in Oregon who longs for a release from the desolate isolation she faces each and every day of her immortal life. The problem is, her very nature means she must hide herself away, never allowing herself to feel what it would be like to have a relationship of any kind. After being abandoned by her maker who she had loved intensely both as a human and as a vampire, she has been a loner, never staying in one place very long. After a brief encounter with a human male in the apartment building where she had manged to live for two years — the longest amount of time she had ever stayed anywhere — Lily packs up her meager belongings and takes off. Finally tired of her hermit-like existence, she decides she will try and find others of her kind. Perhaps she would be able to find a place where she could belong, if only for a little while. Before long, Lily finds herself not only expected by a loving vampire family, but also meets the love of her life. Could all this mean the end of her lonely existence? Tentative yet hopeful, Lily embraces the love and warmth of her vampire family. Not wanting to think about tomorrow or consequences, Lily also indulges herself in a romantic love that cannot be. 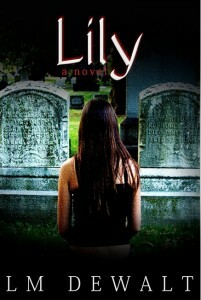 All to soon, Lily realizes her past has the power to destroy her future. And all too soon, Lily finds herself in a fight for her life and all those she loves. It was refreshing to read a vampire story from a female protagonist’s perspective. The only thing I found challenging was suspending my disbelief long enough to believe in love at first sight. I’ve discovered I’ve become cynical in this regard, unfortunately. This cynicism just made me want to believe in it all the more, if only to prove to myself that I haven’t become too jaded in my old age. When have any of us encountered true love? The kind of love that loves unconditionally and accepts you for exactly who and what you are, flaws and all, no matter what they may be? This book asks you for a moment to imagine what it would be like to bare your true self and leave everything exposed. That kind of vulnerability is very frightening, but empowering as well. It will make you want to take a closer look at all the important relationships in your life. The question of nature vs. nurture also arose for me. Lily was still so young in a vampire sense, and unsure of herself. She was so much like an abandoned child who out of necessity must learn to fend for herself, but desperately needed the bond of love and family. Would she have been more confident and more immune to the feelings of loneliness and isolation if her maker had been a better nurturer who gently guided her? Or was this sensitivity just her nature? Lily brings the suspense like a thriller, but it is also a sweet story about finding true love and finally finding a family to call your own. It’s about the bonds of trust and loyalty, and moving beyond the things that hurt us deeply and embracing our future. It has endearing characters, rivalry, and a villainous villain you will absolutely love to loathe. You will also be posed with the inevitable question; but you will have to read the book to find out what that question is. 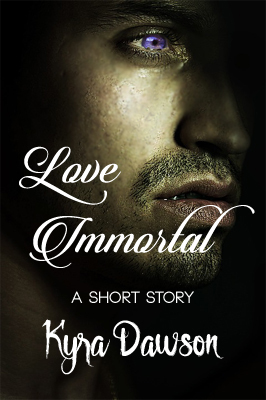 Books, Good Book Alert!, love, Paranormal, romance, suspense, thriller, Vampires!. Bookmark. What a wonderful review Kyra, thanks so much. I particularly liked how you captured the story so completely without giving away the ending – not many folks can write what they think so well. Oh, and the answer to your question? Thank you so much, Kyra, for the wonderful review! Sorry I didn't comment sooner. If your question is what I think it is, then yes. I'm working on number 2 right now. Thanks again and I really enjoy reading your blog since I am also a movie lover. You are so welcome LM DeWalt! I really enjoyed reading Lily. I can't wait for Book 2! Happy writing!